Cushman & Wakefield’s Equity, Debt, & Structured Finance (EDSF) group arranged approximately $52 million in construction financing for a ground-up multifamily development set to launch in Hackensack. Waypoint Residential will redevelop the property at 435 Main Street with 235 Class A rental units. Cushman & Wakefield EDSF team members John Alascio and Sridhar Vankayala headed the assignment on behalf of Waypoint. Additionally, Brian Whitmer of the commercial real estate services firm’s New Jersey capital markets practice provided market support for the transaction, which was collectively sourced and executed through Citizens Bank. “435 Main Street represents a compelling financing opportunity for lenders given its transit-oriented location, strong sponsorship and the opportunity to develop in a vibrant re-emerging neighborhood experiencing increased renter demand as cost-conscious renters migrate farther from New York City,” Alascio noted. “Citizens Bank understood the opportunity and provided attractive terms that matched Waypoint Residential’s business plan.” The project also benefits from a 30-year tax abatement. The transit-oriented, market-rate multifamily project in downtown Hackensack is just two blocks from the Anderson Street New Jersey Transit rail station. 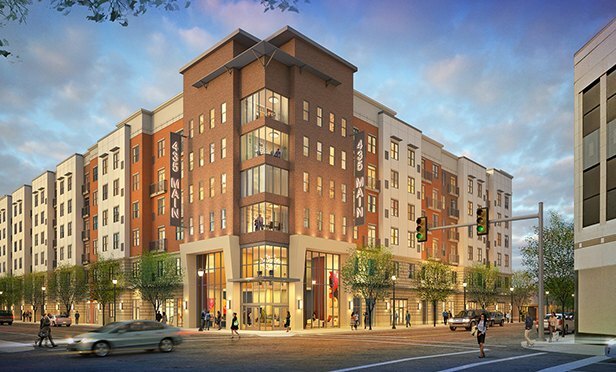 It will feature four stories of luxury apartments over two stories of parking and a full complement of amenities. The site – formerly home to a moving company – offers proximity to a new grocery store, ease of commutability to Manhattan, and a walkable downtown area with parks, restaurants, bars, and shopping.